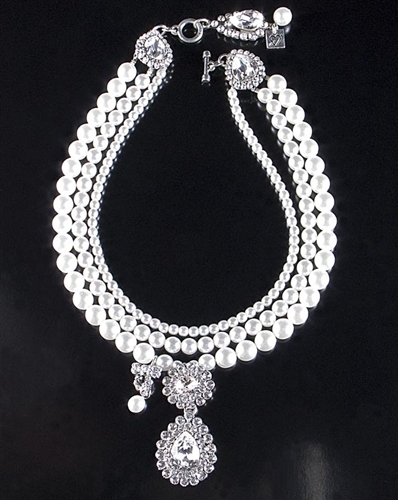 White Swarovski pearls & Swarovski crystals necklace by Otazu. This striking pearl necklace features three strands of Swarovski pearls and two dangling swarovski charms in the center and on the ends. A dangling swarovski charm and pearl also drop by the closure 5cm / 2".